Japanese Knotweed is a wilful defender of any ground that it has conquered and a sneaky underground infiltrator, liable to pop up wherever it pleases. Should you find this invader on your property the first thing you will probably do is to try to find out how to get rid of or kill Japanese Knotweed because the sight of it on your property is enough to strike dread into the heart of any property owner, bearing in mind all the negative media coverage that Japanese Knotweed has been getting in the past few years. In the UK the Environment Agency describes Japanese Knotweed as “indisputably the UK’s most aggressive, destructive and invasive plant”, along with all the negative environmental and economic impacts it has caused, it has also had an effect on residential property sales. 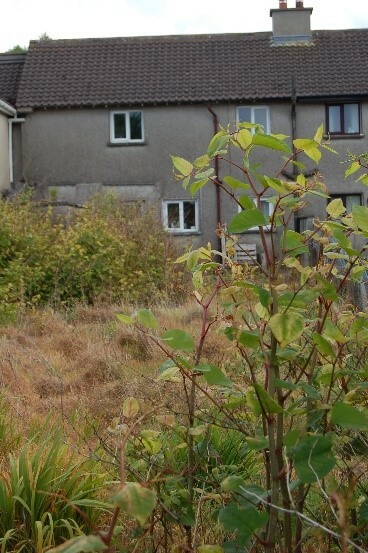 Potential buyers have in some cases experienced difficulties securing a mortgage on a property if it’s affected by Japanese Knotweed, some lenders reject outright any property affected by Knotweed, others take a more practical view and lend where the Japanese Knotweed infestation is being treated by a reputable firm. Japanese Knotweed is not an easy plant to control and trying getting rid of or kill Japanese Knotweed yourself is not easy and takes patience! The most common method is to use a glyphosate herbicide but this will require a high dosage and it will not be eradicated after just one dose, it will require repeated doses to completely rid your property of Japanese Knotweed and may take a few seasons. These products should be applied responsibly, always read the pesticide product label to make effective and economic use of the product, which by doing so minimises risks to people, animals and the environment. Although root systems can be killed by herbicides, they are often so large that weed killers don’t reach deep enough into the plant to do their work properly. Even when the plant is dead, the soil around it may contain pieces of rhizome, to guarantee it doesn’t return the soil must be excavated and carefully taken away. In Ireland Japanese Knotweed is classed as a ‘controlled waste’ under the Environmental Protection Act. This requires disposal at licenced landfill sites. The Japanese Knotweed Company is fully licenced to safely remove the weed/soil from any site to licenced landfill sites. 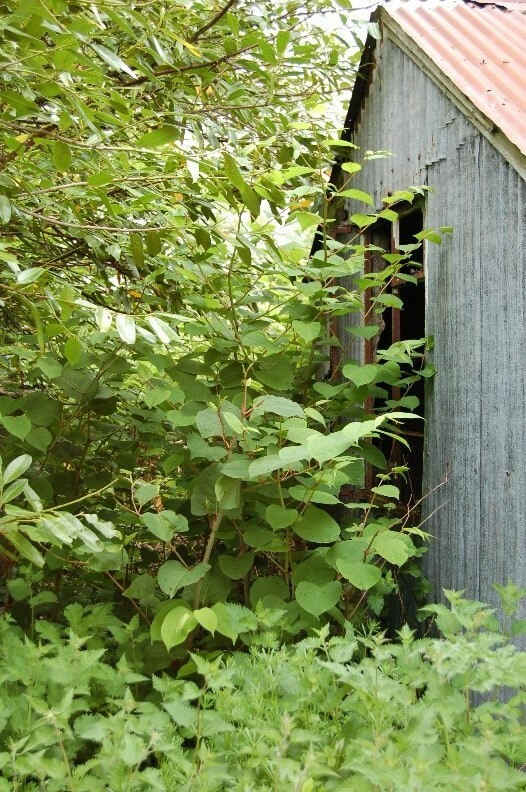 Japanese Knotweed thrives on disturbance and invades environments where soils are routinely disturbed and transported. Do not move or dump soil which may contain plant material as this may also add to its spread. Do not do break the law – Remember it is an offence if you cause the spread of Japanese Knotweed either intentionally or unintentionally. Lack of awareness about how the plant spreads has meant that hedge cutting contractors, developers and people in general have been spreading it unwittingly for years. Every Japanese Knotweed plant in Ireland is female, the only way that it can spread is through rhizomes or fragments of its own vegetation breaking off and re-growing. Cutting it to try to get rid of it actually helps it to form new plants and continue to spread. It is common where there is a roadside area of knotweed, to find more stands of it further down the road where fragments from the flail cutter have landed in previous years and regrown. Strimming is a very common way for homeowners and landowners to maintain their gardens, ditches and hedges, in fact strimming is the very worst thing that you could do as it creates millions of tiny pieces, each of which has the potential of developing into a new plant. The spread of Japanese Knotweed was accelerated hugely in the Celtic Tiger years here in Ireland, contaminated soil was routinely disturbed and transported during construction and road building projects in both the rural and urban environments. Equally damaging were the subsequent recession years, where there was the dawn of the “ghost estate” abandoned, unfinished housing developments littered the country – housing estates that were built on sites with contaminated soil present. The unfinished nature of these housing developments provided ample opportunity for deep seated establishment of Japanese Knotweed. If you suspect that you have Japanese Knotweed or any other invasive plant on your property it is essential that you act without delay, if you ignore it, it is liable to cause more damage, cost more money and prove more difficult to remove. It is not advisable to attempt to kill Japanese Knotweed yourself – without professional advice from a company such as ourselves here at the Japanese Knotweed Company, where our area of expertise is in the treatment control and eradication of invasive plant species such as Japanese Knotweed. We undertake a highly professional and methodical approach to each project, as every infestation is unique a site survey is needed to identify the invasive species as well as to gather all the information needed to understand the requirements to successfully treat the infestation and to create a management action plan as per environment agency guidelines. Having a Management plan is crucial because Japanese Knotweed is not straight forward to kill or eradicate – depending on the level of infestation it can take a few years to get the plant under control. As from 26th November 2015 anyone who purchases herbicides/pesticides authorised for professional use must ensure that the intended end user holds the relevant specified certificate(s). (Section 9 (5), The Plant Protection Products (Sustainable Use) Regulations 2012) & (Part III of the Food and Environment Protection Act 1985, and related Codes of Practice). For more information on our services available. © Copyright 2017 The Japanese Knotweed Company. All Rights Reserved. Responsive website design by Kingdom Media.